Lazada Announced Pre Order For Apple iPhone 7, Priced Starts At 38499 Pesos! Home / apple / mobile / news / Lazada Announced Pre Order For Apple iPhone 7, Priced Starts At 38499 Pesos! Just in! Lazada Philippines has announced that their pre-order page for the new Apple iPhone 7 with 32 GB variant is now up! Related: Apple iPhone 7 Plus Now On Pre Order At Lazada Too, Price Starts At 53699 Pesos! 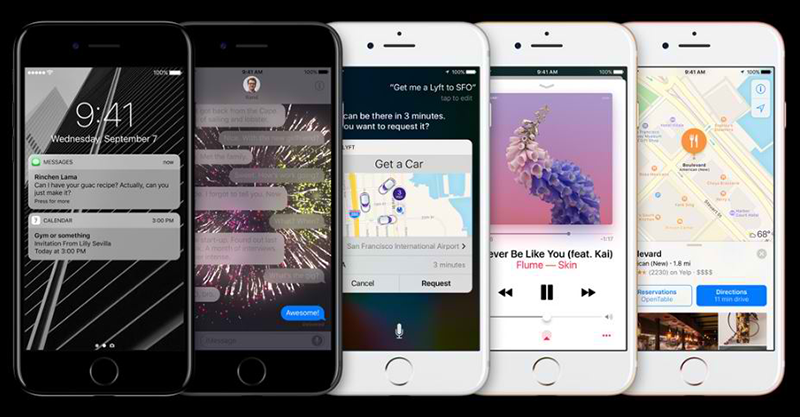 In case you missed it, the iPhone 7 features several improvements in design, specs, and features from its predecessor. It now has an IP67 water and dust resistance rating and better 4.7 inch retina display with brighter and truer colors protected with Ion-strengthened glass. Under the hood, the phone carries the beastly 64 bit Apple A10 Fusion quad core processor which recently scored almost 180K at Antutu benchmark. Then it has 2 GB of RAM, either 32 / 128 / 256 GB storage, and 1,960 mAh battery capacity with additional 1 hour to its battery life. On the camera department, the regular iPhone 7 now sports a better 6 element 12 MP f/1.8 main camera w/ OIS and quad LED flash which is 60 percent faster and 30 percent more efficient. In front, there's a 7 MP front camera w/ LED flash. The phone also now has a pressure sensitive button and doesn't have a 3.5 mm headphone port anymore. Then the handset will have WiFi, LTE, fingerprint sensor, Bluetooth 4.2, NFC, GPS, A GPS, and iOS 10 software. The pre-order page for the iPhone 7 is now up, the price starts at 38,499 Pesos. The shipping will start this starting this September 23, 2016.